This class explores the interactive side of taiji by using drills and technique practice. It’s an non-combative environment which works with the individual player at the level where they are. A great way to advance your understanding of function and to test your principles and technique. Ongoing. Magic Tortoise students, drop-ins welcome. Other taiji students please contact Lao Ma before attending. This class is for beginning and continuing students who are interested in learning any of the three empty hand forms. The teacher works individually with each student at their level. A seminar with an more open format, the fourth Saturday seminar is open to any student, beginning or advanced. Current students will work on forms they are currently learning. This is also a good time for students curious in exploring a weapon or empty hand form but are unable to make it to another weekly class. The purpose of this interactive workshop is to explore how push-hands (Tuishou) relates to form understanding and enhancement. Tuishou practice teaches many principles, but we will be paying special attention to the principles of ting jin (listening energy) and nian jin (sticking energy). 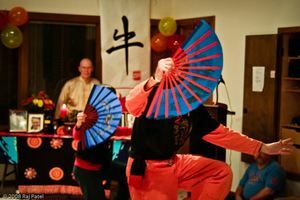 Taiji players will be introduced to relationships between fundamentals, frame, form, function and fighting through the Combined Four Flowers exercise and various sets of “three-person push,” “two-person drills,” and “Da Lu” exercises. Any students interested in attending please contact me at laomamanzo@mindspring.com or 919-(919) 542-0688. Senior Saturday meets every first Saturday of the month. Intermediate students are welcomed with open arms. The focus of the monthly seminar is group practice of the entire form. This is followed by detailed questions and corrections with LaoMa. The group focus is improving taiji fundamentals and existing postures. Advancement in principles rather than form progression is the goal of this meeting.